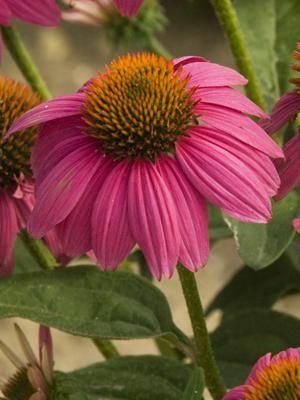 Large flowers have rosy-purple horizontal rays and orange June through September. Sturdy foliage is well branched producing many flowers. Attracts gold finches. 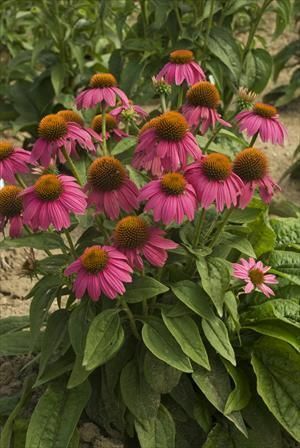 A seed selection of Echinacea purpurea.